If you or a loved one has suffered serious injuries or wrongful death as a result of a car or truck accident, you may be entitled to compensation. It is important to contact an Anderson car accident attorney as soon as possible to discuss your options and to ensure that important evidence is preserved. For more than 30 years, the Allen and Allen Law Firm represents individuals who have been seriously injured or lost a loved one due to the negligence of another. We are committed to helping you get the most value out of your case. To schedule a consultation with Chuck Allen, contact our firm online or call 864-226-6184. Car and truck accidents can cause life-threatening injuries, including spinal cord injuries, brain injuries, amputations and burns. These injuries may cause debilitating disabilities and require long-term or lifelong medical care. We strive to understand the full scope of your injuries, as well as the medical expenses that you may incur in the future. If your loved one was killed in a fatal traffic accident because of someone else’s negligence, we will ensure that you receive full and fair compensation. 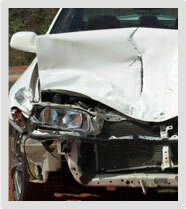 Insurance companies often offer a settlement to victims of a car or truck accident. However, this settlement may not take into account the long-term expense of your injury. Instead of settling your case with the insurance company, we will work your case to get the most value out of it. With years of courtroom experience, Allen and Allen approaches each case as if it were going to trial. Before you speak with the insurance company, talk to a skilled personal injury lawyer. To schedule a consultation with Allen and Allen Law Firm, contact our firm online or call us at 864-226-6184. We offer prearranged after-hours and weekend appointments.